Professor Anita Thapar, Clinical Professor at Cardiff's Institute of Psychological Medicine and Clinical Neurosciences, has been awarded a CBE in the 2017 New Year's Honours list for services to Child and Adolescent Psychiatry. In 1999, Professor Thapar became the first Professor in Child and Adolescent Psychiatry in Wales. 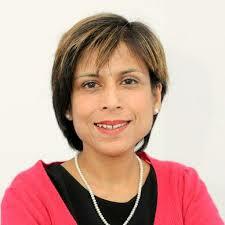 Since then she has developed research, teaching and a specialist clinical service in Child and Adolescent Psychiatry. Her research focuses on the origins, development and complications of neurodevelopmental disorders, particularly developmental phenotype manifestation and the contribution/interplay of early environmental exposures and genetic risks. As a clinical academic with Cwm Taf University Health Board, she runs an NHS tertiary service for child neurodevelopmental disorders and "transition" neurodevelopmental clinic for 15 to 25 year olds. She also heads the academic Child & Adolescent Psychiatry section at the Divison of Psychological Medicine and Clinical Neurosciences, Cardiff University; directs the developmental disorders group within the MRC Centre for Neuropsychiatric Genetics and Genomics, and is a senior investigator in the National Centre for Mental Health, Wales' first Biomedical Research Centre. The BNA offers warm congratulations to Professor Thapar on being recognised for all her achievements and contributions to the field.